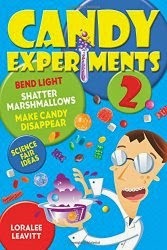 My son's favorite school activity lately was The Marshmallow Challenge, as seen on Tom Wujec's website. Each team had eighteen minutes to plan and build a tower with tape, 20 pieces of spaghetti, scissors, and a marshmallow to put on top. My son's group of four came up with their class's winning design: a spaghetti leg tripod with a single strand of spaghetti reaching up (like a camera tripod).